Armenia, Azerbaijan, the Republic of Belarus, Georgia, Kyrgyzstan, Kazakhstan, Republic of Moldova, Tajikistan, Turkmenistan, Uzbekistan, Ukraine, Russia. On the game: 1998 year. 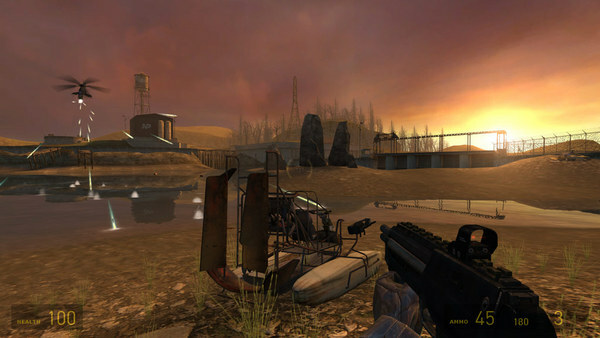 HALF-LIFE shock the game industry by a combination of intense action and a continuous, addictive plot. 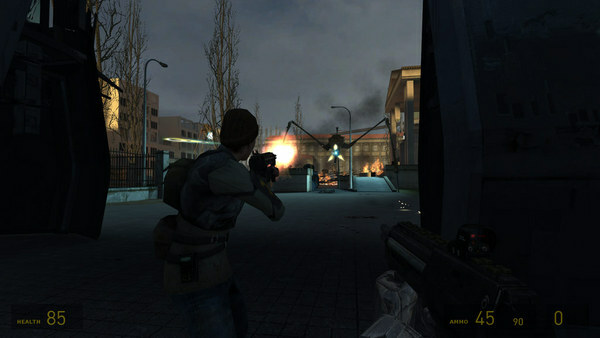 Valve´s debut game won over 50 "Game of the Year" awards on the way to getting the title "Best PC Game of All Time" from PC Gamer; she promoted the franchise, which sold over eight million boxed versions around the world. NOW. 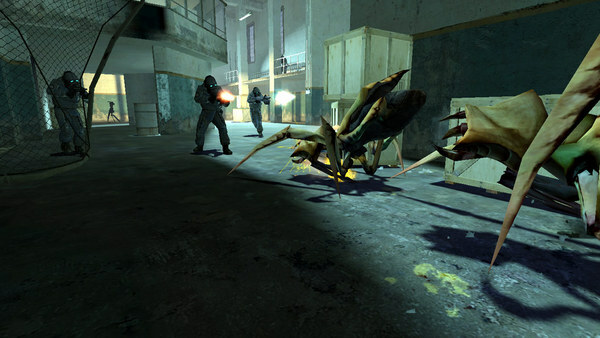 Having saved the atmosphere of anxiety, challenge and inner tension and adding new realism and interactivity, Half-Life 2 opens the door to a world in which the player´s presence affects everything that surrounds him - from the physical environment to the behavior and even emotions of both friends and enemies . 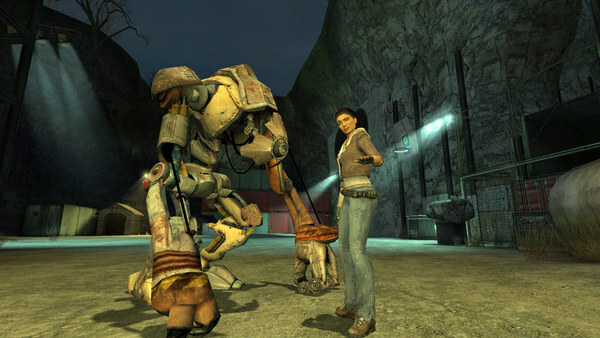 The player again raises the mount of the scientist-researcher Gordon Freeman, who finds himself in an Earth that is awash with strangers, whose resources are swiftly emptied, and the population is degenerating. Freeman is imposed the inevitable role of the savior of mankind from the evil that he released in freedom in the Black Meza. And very many people dear to him hope for him. 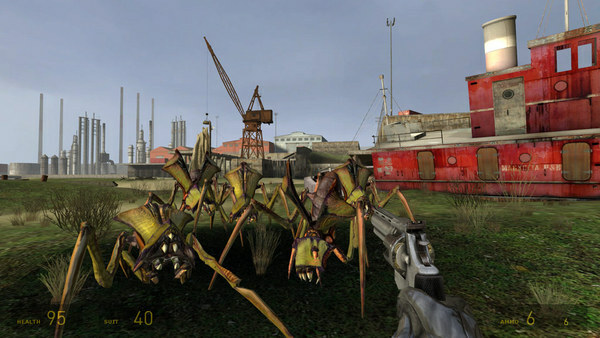 The intense gameplay of Half-Life 2 in real time became possible only thanks to Source®, the new own high-tech game engine from Valve. Source is characterized by significant progress in the following areas: Characters: The advanced facial animation system allows you to create game characters with an unprecedented degree of elaboration of the exterior. Using 40 separate "muscles" of the face, the characters-people convey the whole variety of human emotions, demonstrating adequate and grounded reactions to the behavior of the hero. Physics: All objects, starting with pebbles cast and ending with two-ton trucks, behave naturally, fully obeying the laws of physics, taking into account mass, friction, gravity and buoyancy. 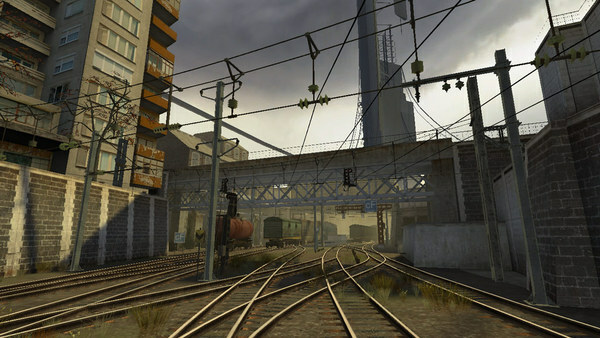 Graphics: Source uses an image generation system with shader support, similar to the one with which Pixar created cartoons Toy Story® and Monster´s, Inc.®. It allows you to draw unprecedented before in computer games, amazing in beauty and realism game environments. AI: Neither friends, nor enemies rush into the fray, rushing headlong. 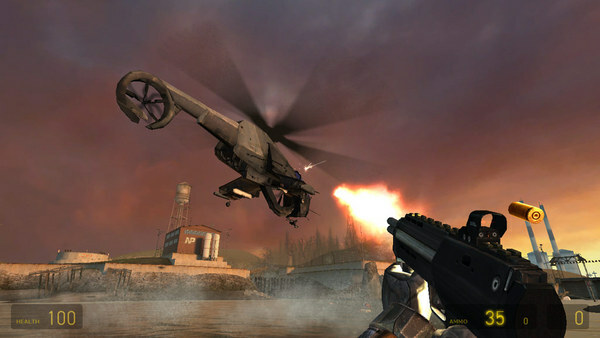 They are able to assess threats, choose the best route on rough terrain and collect weapons from what is at hand.